If you’ve suffered a life-changing tragedy you have a date, maybe two or three where the world was supposed to stop but it didn’t. Where you were looking out your car window or down the 8th floor waiting room hallway and wondering how these people were functioning as if this were any other day. How were they pushing the gas pedal or filing their paperwork or tapping the vending machine without a bucket of tears and an unavoidable urge to curl up somewhere and disappear? Every year when we celebrate Hadley’s life on the anniversary of her death I travel through the day pretty sure our family has some kind of advertisement on the outside of our vehicle telling the world we aren’t just walking through any other day– like the Scooby Doo Mystery Van but with a more depressing color scheme. This day, this terrible, awful day will never be a casual day for us. It will always be the day we wake up quieter, move slower, hug more, cry a little, pick out balloons and flowers, miss the turn for the cemetery and bubble over with inappropriate laughter over something that’s not funny. We will not say much while simultaneously considering the purchase of a megaphone to shout out why the world should be frozen in reverence or watching the clock for the anniversary of our final moments with our child in our arms. The world doesn’t stop for the grieving or the traumatized or the heartbroken. It goes on at it’s normal pace, waiting for you to leap back in and return to usual speed. I hated this at first. How dare the world keep turning when mine has stopped? Over time I forgave the world for spinning and found a way to jump back in when I could. 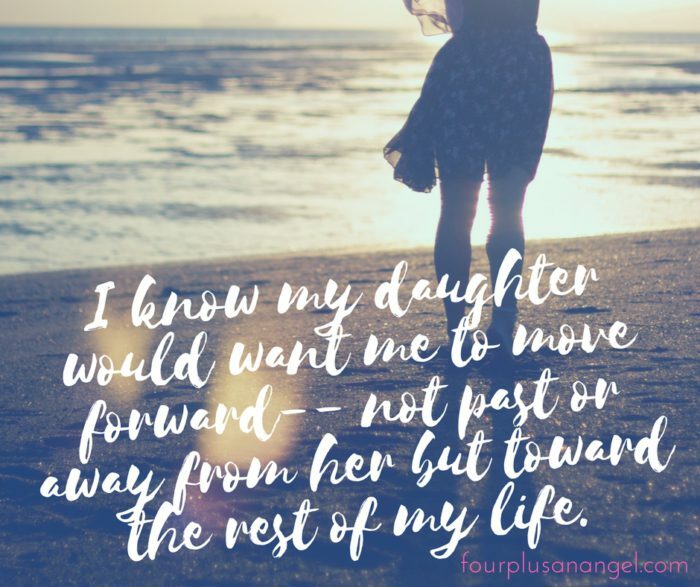 My daughter would want me to move forward– not past or away from her but toward the rest of my life. There are 364 other days in the year to live fully with her memory tucked quietly at my side. But there will always be one, that 365th day, that stops for me and for anyone else who has lost a child– we need it to. You don’t have to stop with us. Just give us the space to stand still and know we will start moving again. Don’t urge us out of bed or off to work or try to talk us into someone else’s idea of a recovery plan. We do this every year, our hearts have become good at it unfortunately. Hold our space while we pause and wallow in what we’ve lost and cling tight to what we have to remember. We might need to stay quiet or be surrounded by noise. We may hope to be ignored or for everyone’s attention on our sorrow. We could have elaborate dinner plans or a date with a glass of wine and a carton of ice cream. The most important thing for you to understand is that we need to figure this out for ourselves. Over the years we’ll find what feels right on the day that everything went wrong, just follow our lead. We’ll be back tomorrow to continue living this life with the same lessons loss has taught us– but for today OUR world needs to stop turning. We need time and space and so much understanding as we remember the day time stood still and part of our heart was taken away. P.S. 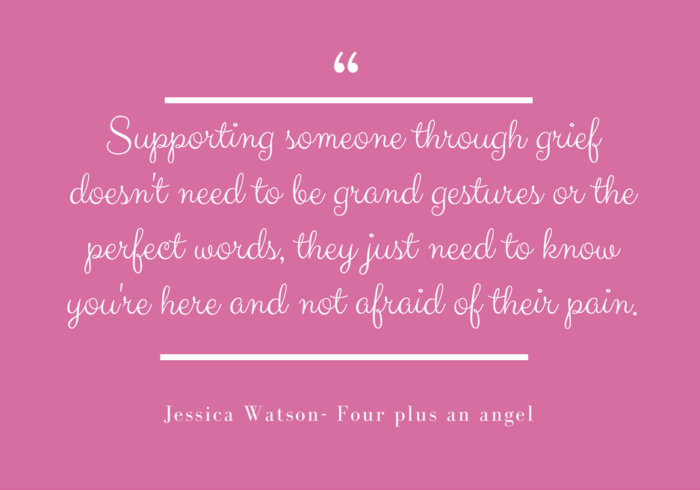 If you are looking for what you can do to support someone who is grieving you can find lots of suggestions here. If you just finished reading this article and are like “I don’t feel like reading 500 more of your words no matter how enlightening you think they are” just get out a candle and light it when you want someone to know you’re thinking of them. Let them know your candle is burning that day for the loss of their baby/grandfather/mother/best friend that left them with a broken heart. Supporting someone through grief doesn’t need to be grand gestures or the perfect words, they just need to know you’re here and not afraid of their pain. So sorry for your loss Gery. I hope you were able to remember Benji in a way that helped all of you this weekend.